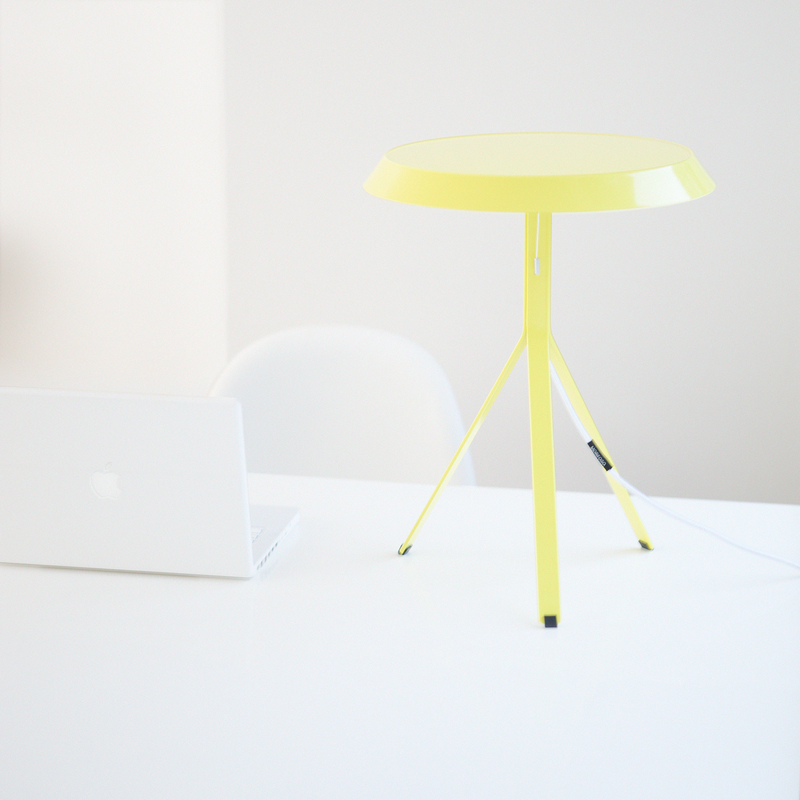 Koenig Table Lamp is a table lamp, which functions as a small side table. The Dutch-German designer Michael Koenig, who has found inspiration in the Danish design tradition, has designed the lamp. With inspiration from Arne Jacobsen and Poul Kjaerholm Michael Koenig has created a design that plays with the contrast of the high-tech LEDs and a very simple shape. By creating a simple design in a straightforward material like painted steel, Koenig makes a product that appears friendly and simple, yet provides the best in energy saving lighting solutions as well as the most advanced colour mixing technology. The fixture provides light equal to a 60w incandescent light source but uses less than 10w. 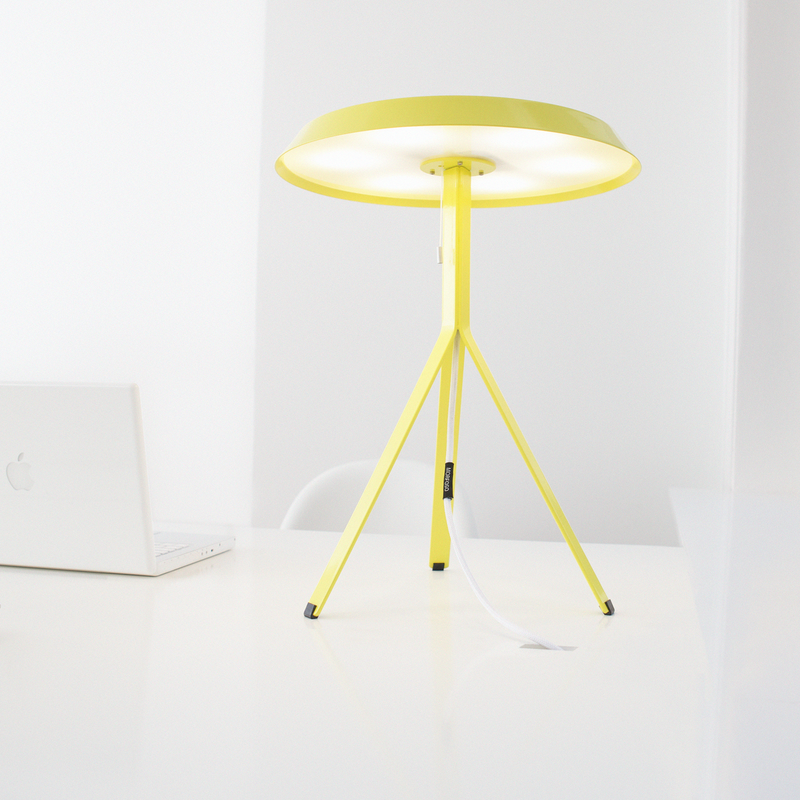 For general purposes the product is a lamp for placing on the table. You can use it in work situations on your desktop or you can use it as an ambience light on shelves, in the window, near the bed etc. You also have the option to use it as a small table. For example, while watching TV you might want to have ambient light to provide enough light for orientation and a place to put your cup while seated. 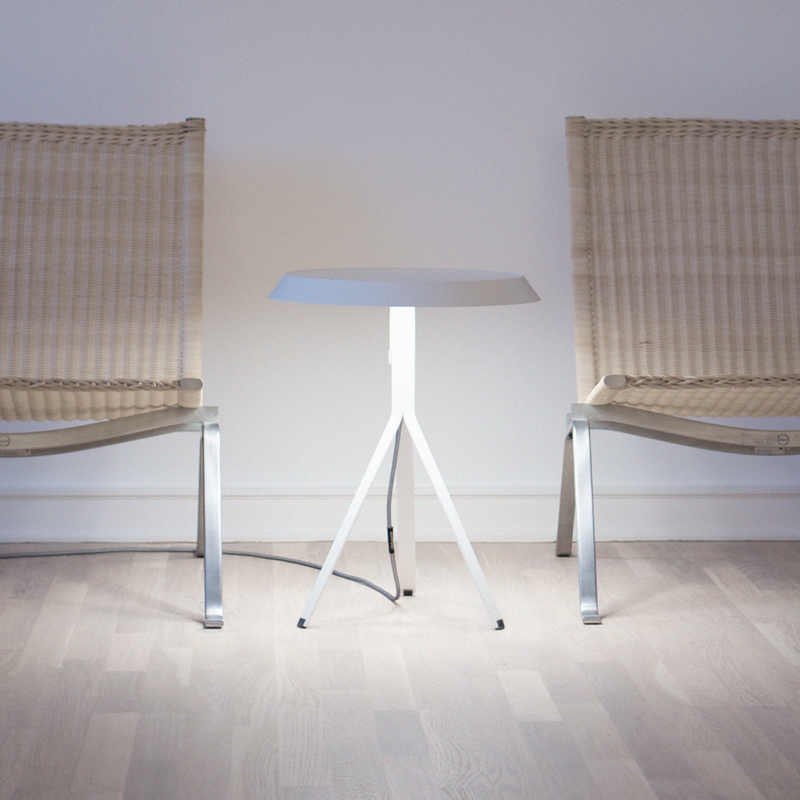 Place the Table Lamp on the floor and you have the perfect combination of a small table and ambient light without glare. Dimensions: 39 cm in diameter and 50 cm in height.